Évaluez cet Article Love playing the classic mahjong game at TheMahjong.com but you don't know how you can get the best tileset-background combo? We've got some suggestions for you! 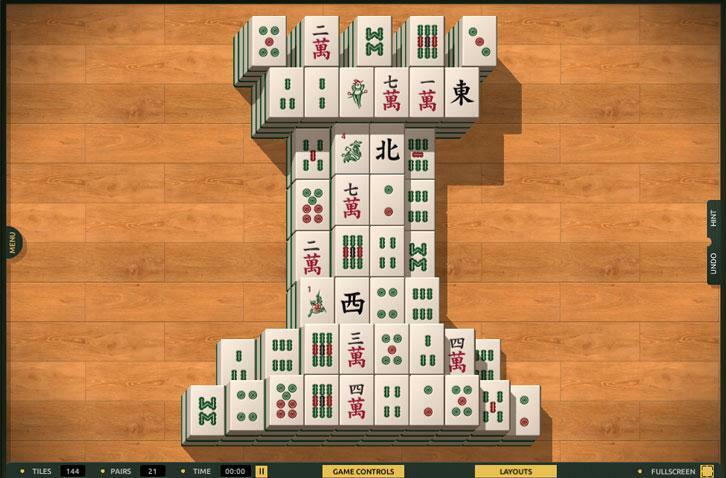 With so many tilesets and backgrounds to choose from in the fun browser-based, classic online mahjong game, TheMahjong.com, you may be at lost as to which is best matched with which. Well, we’re here to help! Here are some of our favorite tileset and background combos that you may want to try out. The Hulk combo is also what I call an eye-friendly combo. It consists of the Default Tileset which has larger symbols making looking at the tiles easier on the eyes, and the first background set to the green color, or any background that has a green color option. The green color is important because being the color of nature, it will remind you of calming scenes of lush green plains, cool and shady forests, or even your own beautiful garden filled with leafy plants of all shapes and sizes. The color green has also been attributed to giving powerful wellness feeling, psychologically of course, and has been rumored to be able to ease eye strain that is associated to looking at a computer screen for too long. So, if you’re plopped down on your computer chair and ready for a lengthy mahjong session, this is the tileset and background combo that you’ll want to use. As opposed to having a greenish “natural” look, the natural here refers to the authenticity of the tiles and the background. This means using the Default Small tileset, which is basically the same as the usual mahjong tiles you can buy from shops along with the second background in the game. The second background is generally consisted of wood-based backgrounds, but there are a few choices for you to pick from. Personally, I’d recommend the first one mainly because the background looks brighter and easier on the eyes when looked at from afar – your eyes aren’t supposed to be too close tom the screen anyway. Now, if you’d like something more formal, classic and perhaps a bit regal in appearance, The Classic Look combo is perfect for you. 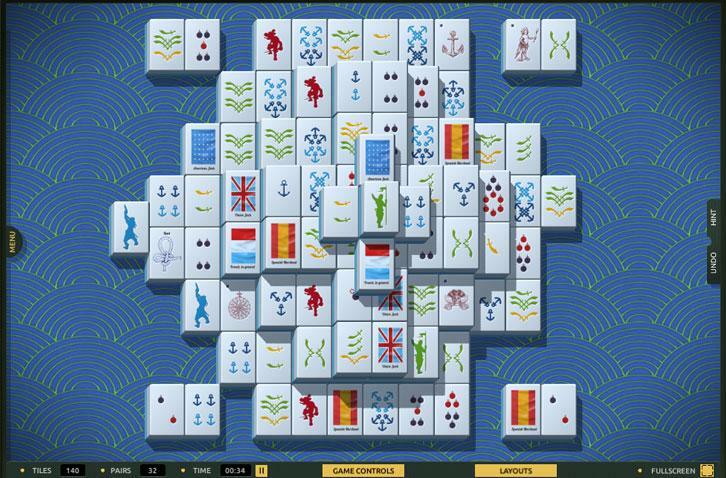 Basically, you’ll need to choose a classic mahjong tileset, which in this example, we’ve chosen the blue-hued Classic2 tileset along with the most classic-looking background we can find on TheMahjong.com – the very last background in the list available. Although we’ve opted for the fiery red look in this example, you can feel free to choose blue or green if you’d like a more soothing background to look at when playing. 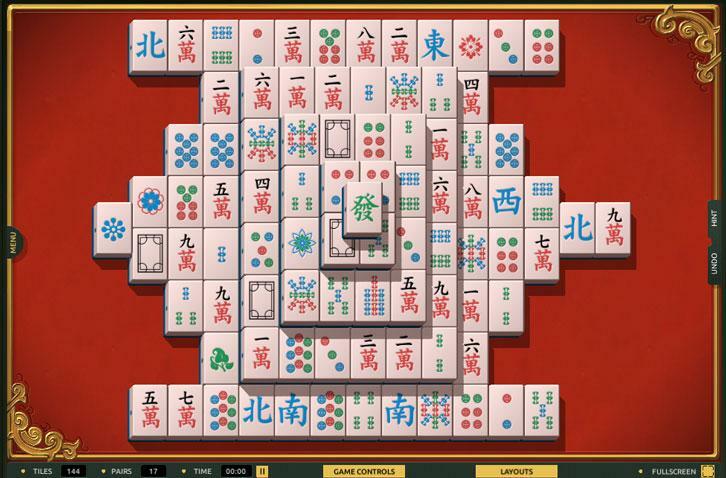 As you might have noticed from our recommendations, we aren’t exactly a huge fan of those “weirder” tilesets that don’t have the traditional mahjong symbols, mainly because they tend to confuse the eyes, making a game more difficult than necessary to play. However, in this case, the combo is just so apt that we simply have to recommend you this nice little sea-themed combo – the Sea (or Travel, depending on your preference) tileset combined with the blue-colored version of the Waves background. Best yet, the blue color has an equally calming effect as the green in our The Hulk Combo, because it reminds us of the sea... or the blue ocean water in particular. 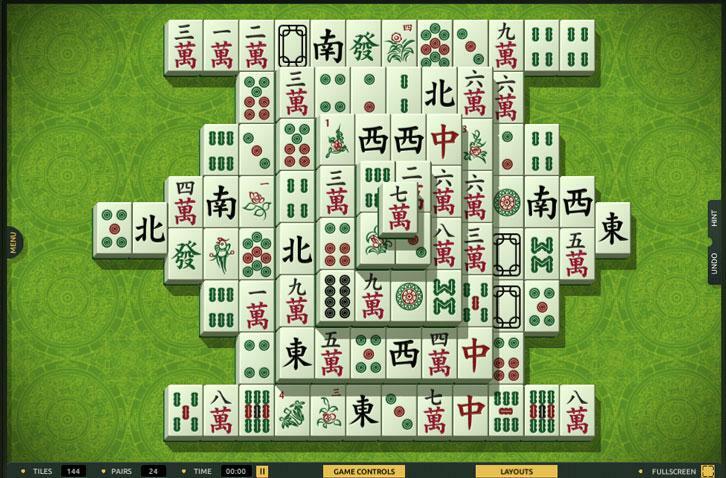 These are 4 of the tileset-background combo that we frequently use when playing on TheMahjong.com. You can feel free to use them but of course, if you’d like to create a look of your own, you can! The range of customization options on the site is simply impressive and you’ll definitely have tons of fun just browsing through the options.